Nursing is one of the most in demand profession in the country today, and is expected to rise more in the coming years. This makes the profession more appealing; the higher the demand, the better chances of employment. The baccalaureate program offers courses that prepare the student to become a professional nurse. The program is composed of classes and trainings that best prepare the students to handle medical care, treatment and support to patients. The students will learn the basic nursing care, fundamentals, theories, medicines, terms etc. At some point of the curriculum, the nursing student will be exposed in an actual situation. Wherein they will learn how it the real scenario looks like; this is done to better prepare the student before they graduate. Once the student satisfies the requirements, they will be qualified to take the examination for licensure to practice as a registered nurse. The objective of the BSN program is to prepare graduates to work as professional nurses in a number of scenarios. Graduates are envisioned as having acquired fundamentals for ongoing professional development. Nurses are expected to be fully equipped once they graduate; there’s no more time to practice once the nurse is on duty. The patient’s recovery and safety depends on how the nurse handles the treatments and medications. The curriculum is developed to assist the student to develop skills, stimulate intellectual curiosity and also to develop the capability to work with other health workers. The professional nurse is dedicated to the function of maintaining health insurance and ensuring the quality of health care services. The nursing school plays an important role in preparing the nurse to become well-equipped with skills and knowledge needed for efficiency. When you think of a nursing professional, what exactly is the first image that comes to mind? Chances are, you think of a woman and for valid reasons. Many professional nurses in the U.S. are white females. In fact, only about 6 % of nursing staff are men and, considering men make up approximately half of the population and minorities are 30 %, there’s a major difference in the career. That difference is shown in equal measure in nursing educational institutions, both in the student population and staff. Experts claim improving the diversity in nursing education will improve nursing care by developing more culturally delicate nursing care employees with improved interaction abilities, reduced tendencies and generalizations and fewer inequities, as well as increasing the variety of the nursing education faculty. At a time when the healthcare system is faced with a nursing shortage caused at least partly by a lack of nursing teachers, some claim men and minorities signify a low competition resource for hiring new teachers. They believe that by developing new opportunities to entice typically underrepresented communities to the field, we can both fix the lack and create a considerable improvement to our healthcare delivery program. While minorities have made great progress in other typically white-dominated areas and ladies have done the same in typically men areas, nursing is one area where diversity projects seem to have been worthless. In the case of men, much of the resistance to nursing as a career comes from a social understanding of nursing being a “female” career. Men say that while they enjoy the care giving aspects of the job, it’s difficult when others ask questions or make comments deriding their career choice. For example, male nurses report being asked why they did not choose to become physicians, with the connotation that they did not earn adequate grades or were too lazy to become physicians. In addition, men say that feeling left out of the career, with most training and expert development materials making reference to nurses as “she” and a female-centric approach to teaching and training. Nursing education has a lot of challenging pre-requisites and learners are often in a rush to get them done so that they can get started with what they really want to do…become a nurse! So it’s very attractive to take short-cuts in an attempt to speed things along. That is not necessarily a bad factor, unless your “shortcut” backfires. A quick way that does not work will waste your efforts, energy, time and money. One typical quick way that pre-nursing learners look for is classes on the web. On the internet classes are excellent because they allow for a versatile routine where you can work at your own speed. Actually, I’ve often seen nurses ask about getting their Anatomy & Physiology classes online. Here are the significant factors you have to consider before getting an internet based Anatomy & Physiology class. All Anatomy & Physiology classes should have 2 parts: Lecture (3 credits), and Lab (1 credit). 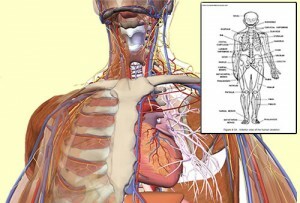 In general, if you discover an Anatomy & Physiology class that says to be absolutely online…stay away!!! The Lab part of an Anatomy & Physiology class should always be finished in person. Yes, that means that you will have to actually go to a school and get involved in laboratory exercises, but it also means that you will get the complete 4-credits of Anatomy & Physiology that you need to be admitted to a nursing school. I have never seen a nursing school that allows an Anatomy & Physiology pre-requisite that does not consist of an in-person lab element, so it would be pointless for you to take a class like that. However, many schools now provide a “hybrid” edition of Anatomy & Physiology. This allows you to take the Lecture part of the class online, while still visiting school about once weekly to join in the Lab. This is an awesome bargain that still allows you to have a lot of versatility, while still making sure that you fulfill the nursing school pre-requisite specifications. Just bear in mind that some schools may still need you to take examinations on school in the computer lab, while other educational institutions might let you take examinations at home on your laptop or pc. If you are enthusiastic about making an impact in the life of other people and willing to face a challenging work, then a profession in nursing might just be the right job choice for you. In order to be a nurse, you must be keen to information, alert and efficient. Nursing is considered as the top occupation in the medical health care area and is the most different in terms of tasks and responsibilities. The nurses operate to motivate good wellness and to assist sufferers in recuperating from accidents and illness. They also inform individuals regarding their health and how to get by. They also provide hands on care to sick individuals. Job possibilities in the nursing field has increased due to the increasing need for medical care employees because of the diminishing enrollments in nursing educational institutions and the flourishing number of seniors that needs nursing attention. Thus, the demand for the medical staff has been gradually high which assures career. Opportunities are even greater for those who have gone to college. The nursing occupation is a very convenient occupation. Their work setting has gone beyond the medical centers and they can be working in areas such as offices, community treatment centers, assisted living features, educational institutions, and public and private venues. They also take management and training roles in educational institutions and medical centers. Other than the profit, the medical staffs also have the chance to make a long-lasting effect on the individuals they have assisted and provided care. 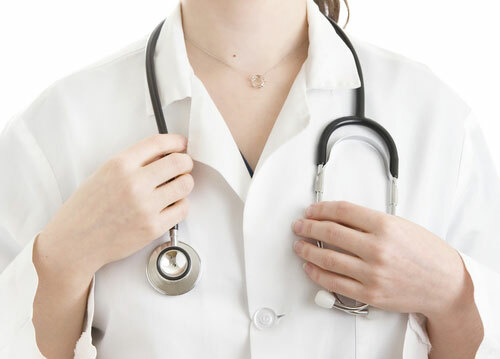 A nursing profession is excellent for individuals who can take the stress and insomnia. Majority of the time, a health professional does not have a long-lasting routine because of versions and plug-ins in work changes. A health professional often works Mondays to Fridays and Saturdays and Sundays. Only somebody who is dedicated and serious about dealing with the needs of other individuals can create such forfeit. These are basically the fundamentals of nursing. Nursing education consists within the theoretical and practical training presented to nurses using the purpose to organize them for his or her responsibilities as nursing care professionals. This education is supplied to student nurses by experienced nurses along with other doctors who’ve qualified or experienced for educational tasks. 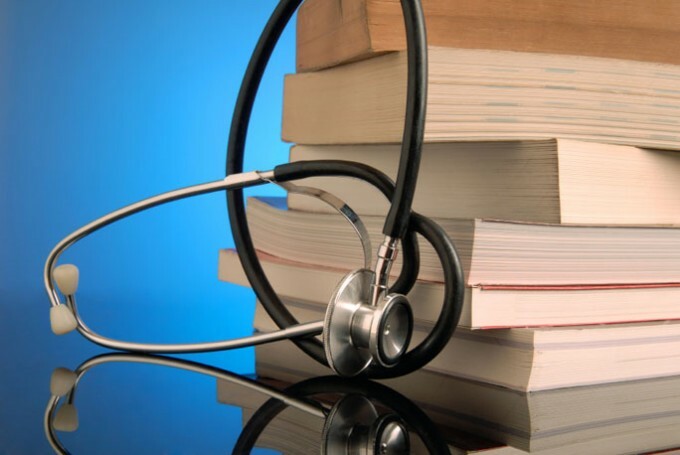 Most nations offer nurse education courses that may be highly relevant to general nursing in order to specialize in areas including mental health nursing, child nursing and post-operatory nursing. Courses resulting in autonomous registration like a nurse typically last 4 years. Nursing education offers post-qualification courses in specialist subjects within nursing. You will find multiple entry levels into nursing. It has brought to confusion for the public, along with other health care professionals. The first schools of nursing offered a qualification in Nursing and never a real academic degree. Community schools started offering an Associate of Science in Nursing degree, plus some diploma programs switched for this model. Colleges then started to provide Bachelor of Science in Nursing levels, then Master of Science in Nursing levels, and Doctor of Nursing Practice levels. Continuing your nursing education can open new possibilities for you personally within the place of work. Whether you are searching to acquire RN licensure or become a professional practicing nurse via a master’s degree (MSN) program, there are schools or even distance learning programs that can help you achieve your job goals. There nursing education programs that fully train on the internet and could be completed rapidly and inexpensively in the ease of your own home. Nurses decide to obtain education by distance for a number of reasons. Nurses who reside in rural areas would rather steer clear of the inconvenience and price of frequent travel. Individuals who juggle the requirements of family, work and school may like the versatility. Sometimes, nurses have the necessity to study inside a specific language. Some nurses decide to study by distance once they move away from the college where they’ve begun their studies and can’t discover the same kind of program in local colleges.